PLYMOUTH divers will be looking for honours at the prestigious British Championships which get underway in Edinburgh on Thursday. Tonia Couch, Matthew Dixon, Kayleigh Sinclair, Aidan Heslop, Alfie Brown and Shanice Lobb are all due to compete at the Royal Commonwealth Pool in the Scottish capital. Sinclair and Heslop, who both competed at last week’s FINA Grand Prix in Madrid, will be in action on the first day when they take part in the mixed three-metre event. The Plymouth Diving duo are also due to compete on Friday, as are Dixon and Brown. Sinclair will compete in the women’s three-metre individual preliminaries, while Dixon, Brown and Heslop will go in the men’s 10m prelims. European junior champion Dixon will also compete in the 10m synchro event with Noah Williams. On Saturday, Couch will be in action with Lois Toulson in the women’s synchro final. 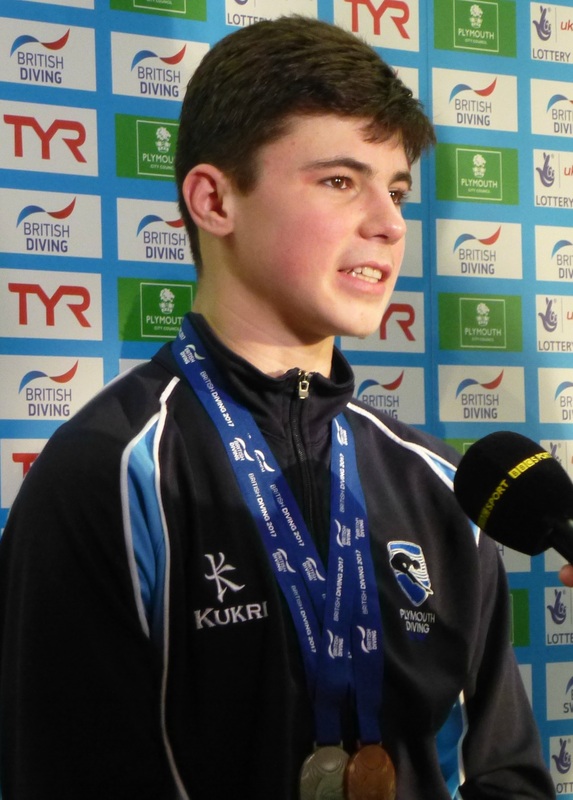 However, Plymouth Diving’s most experienced athlete is not down to compete in the individual event, where Lobb, who currently studying in London, will take part. Helsop, fresh from winning a platform medal at last week’s Grand Prix in Spain, will compete in the men’s three-metre prelims also on Saturday. All the individual finals are scheduled for Sunday, which is the last day of the competition. Tom Daley had been due to compete, but he, along with fellow Olympic medallists Dan Goodfellow, Jack Laugher and Chris Mears, have pulled out due to minor injuries.